During the Great War the British Government involved hundreds of small companies in a network to build aircraft components, which were assembled into complete flying machines at other factories. Most of these firms were small engineering, woodworking or furniture manufacturers, who returned to their original trade once hostilities had ceased. A small firm based in Yeovil, Somerset was an exception, however. After being awarded a number of aircraft construction contracts, industrial engine manufacturers Petters got the taste for the world of aviation. They were responsible for the redesign of the DH-9 bomber to become the much more successful Liberty-engined DH-9A ‘Nine-Ack’, of which hundreds would be built at Petters’ new Westland Aircraft Works. In the 1920s this work led to the Wapiti, Wallace and other designs, culminating in the Lysander and Whirlwind, both from the pen of a gifted designer in the family firm, W E W Petter BA. 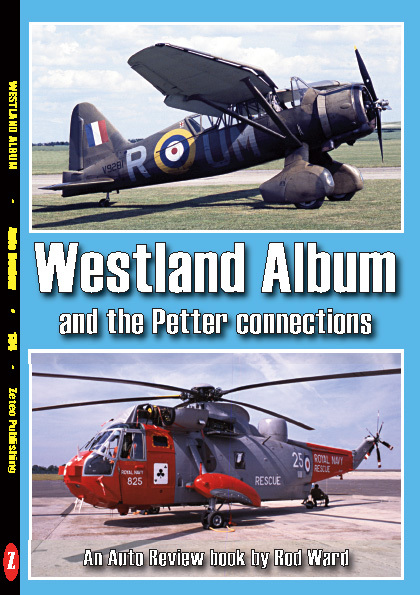 When his proposal for a twin-jet bomber was rejected by the Westland board, Teddy Petter took it to English Electric, where it became the Canberra. His later career included the design of the Folland Gnat lightweight fighter and trainer, as used by the Red Arrows. The Westland company continued along a new path, in 1946 taking out a licence to build Sikorsky helicopters under licence in the UK. This led to Westland becoming world-renowned producers of rotary-wing aircraft for decades thereafter, often in conjunction with other companies, including Aérospatiale of France and Agusta of Italy. The Westland name survived as part of the combined AgustaWestland concern, until it was finally axed by Italian owners Leonardo in 2016.